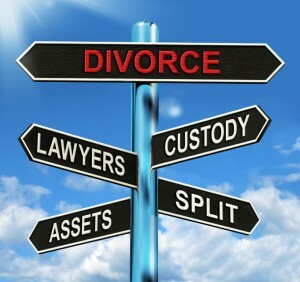 A number of complex issues will arise during the divorce process, including disputes over spousal support, child-related matters and of course, division of community property. In the state of California, it is essential for couples who are divorcing to understand fully the legal distinctions between marital and non-marital property. Generally speaking, the property that a spouse or a couple acquires from the wedding date forward is considered marital property. Non-marital property is the property owned or received by either of the parties prior to the marriage. There are exceptions in the law; gifts and inheritances, for example, are considered non-marital property. In southern California, if you are seeking a divorce or anticipating a divorce, speak at once with an experienced Orange County property division lawyer at the Bayati Law Group. In disputes regarding the division of marital property, the Bayati Law Group can protect clients by demanding the full disclosure of all assets, the proper categorization of each asset as marital or non-marital property, and the accurate appraisal of each asset’s value. We make certain that our clients’ rights and interests are fully protected from the beginning of the divorce procedure and throughout the property division process. Reaching agreements on the division of property can be extraordinarily challenging in a California divorce proceeding if there is no prenuptial agreement. Every divorce is difficult, and every divorce is different, so you must be represented by a family law attorney who has considerable experience handling the division of property in divorce cases. An experienced Orange County property division lawyer with the Bayati Law Group fully understands the complications that can emerge in the property division process. California law requires the courts to divide marital property equally between each individual unless another agreement can be reached by the divorcing spouses. The law does not call for the “in kind” division of marital property, which in practical terms means that properties would have to be converted into cash. Instead, the law in California calls for each spouse in a divorce proceeding to receive assets that are considered to be of equal value by the court. It might sound simple, but in many divorce cases, a genuinely accurate and fair division of the marital property can be extraordinarily complicated. Nevertheless, for a number of years, the divorce attorneys at the Bayati Law Group have routinely handled the division of marital property for scores of our divorce clients in southern California. We insist on the full and fair division of all marital property in every divorce-related property division dispute. WHAT MUST BE DISCLOSED IN A CALIFORNIA DIVORCE? By law, each divorce in the state of California requires a preliminary declaration of disclosure. It’s a set of forms that must be completed by both divorcing spouses. Your divorce attorney can help you complete and review the declaration of disclosure forms. In fact, it’s best to fill out the preliminary declaration of disclosure with an experienced California divorce lawyer at your side. A completed preliminary declaration of disclosure lists all marital and personal property that has been acquired both within and outside of the marriage. This is required before the couple can move forward with the valuation and division of property. Divorcing spouses in California also must declare their full incomes, complete expenses, and all of their debts and obligations as part of the property division process. The preliminary declaration of disclosure should include literally every asset and item that is owned by each of the divorcing spouses. The purpose of these financial disclosures is to make settlement determinations easier by providing a clear picture of the financial situation of both spouses. It’s against the law in this state for either spouse to fail to disclose any asset or property on the preliminary declaration of disclosure. If an item has value, the item must be listed. Spouses who are initiating a divorce must submit their preliminary declarations of disclosure when they file the divorce petition or within sixty days of filing the divorce petition. The respondent spouse must also file his or her own preliminary declaration of disclosure along with the response to the divorce or within sixty days of filing that response. The courts in California allow the sixty-day period to be extended in only the rarest circumstances. When marriages end, the fate or division of the family home is often a key point of contention. What are your choices when divorce is imminent and the family home must be in some way divided? Selling the home is the simplest solution to work out this issue, but obviously this will not be feasible for everyone. A buy-out agreement lets one partner buy out the other partner’s half of the home. If you both opt to stay together at the residence until your divorce and/or the sale of the home is finalized, you need to have personal boundaries clearly established and fully understood by both divorcing spouses. Other properties that are often disputed in a divorce proceeding can include a family business and jointly owned real estate such as commercial or investment properties, farmlands, and vacation homes. Objects of art, jewelry items, and even the family pet – who obviously cannot be split in half – are among other frequently disputed properties in California divorce proceedings. If you are seeking or anticipating a divorce in southern California, you must be represented by an experienced California divorce attorney who will see to it that you do not lose property that you are legally entitled to in a divorce. Contact the Bayati Law Group to discuss how you can reach favorable solutions with your ex-spouse and close this chapter of your life. Speak with a property division attorney in our offices who can handle divorce-related disputes including the division of property and assets, disputes regarding alimony, and disputes regarding child custody, child support, and visitation privileges. Whether you need immediate divorce representation in southern California, or if you simply need legal advice and guidance to help you plan for the future, an experienced Orange County divorce attorney with the Bayati Law Group is available to assess your situation, to discuss the full range of your legal options, and to help you make the best decisions for yourself, for your children, and for your future. Our attorneys value the attorney-client relationship. Every client and every prospective client of the Bayati Law Group is treated with complete respect and is extended every professional courtesy. It is our policy to return every client phone call and email promptly. Please schedule a consultation right now to speak with an experienced Orange County property division lawyer at the Bayati Law Group by calling (949) 798-5700. Or, you can complete the form on the contact page of this site, where you will also find a map with driving directions to our office. The Bayati Law Group represents clients in all matters of family law in Orange County and throughout southern California.